Three questions. 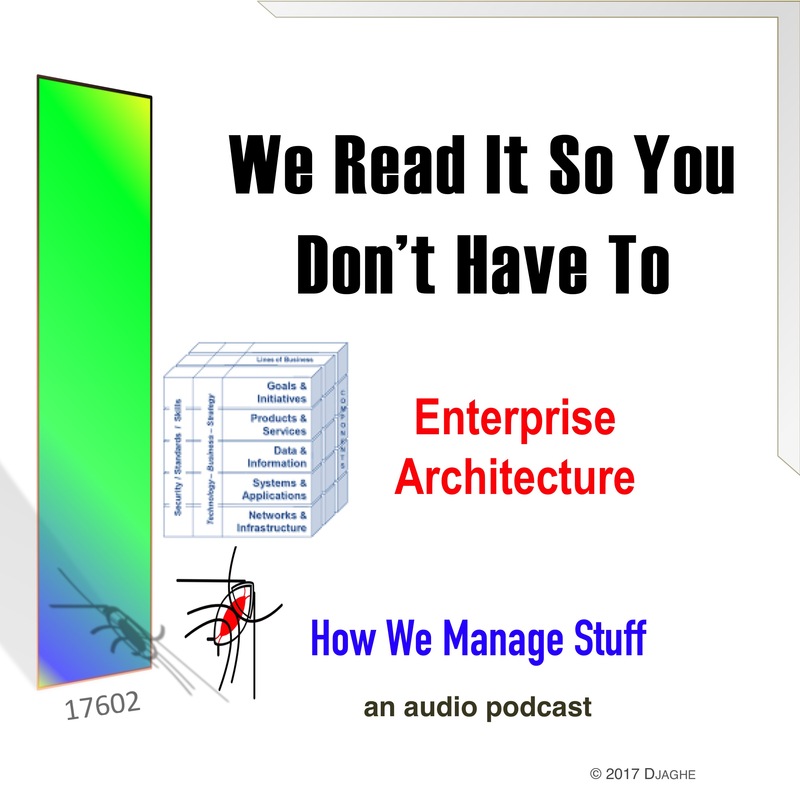 What is Enterprise Architecture? Does it have anything to do with the Starship Enterprise? And why should we care? Rohit from IT joins the podcast in this episode to explore this idea on one of our “We Read It So You Don’t Have To” episodes.